If you want to sell your home, you can do this through a variety of ways. The simplest is to just put a “For Sale” sign on your lawn and hope it attracts the attention of passers by. You can also make little flyers and distribute them after mass, or during soccer games. If you don’t want to hand out flyers manually, you can just make several big posters and put these in well frequented places like groceries and post offices. In case you want to reach a wider market, you can place an advertisement in your local newspaper. Unfortunately, this may be costly and the ad may only run for a few days. If you don’t want the hassle, you can simply hire a real estate agent and then just let him do the leg work. Finally, in recent years, a new form of advertisement has cropped up – advertisement via the Internet. Through the internet, you can put your home up for sale at a low cost and yet reach such a wide market. There are several real estate websites on the World Wide Web and, for a small fee; you can upload information on your property. 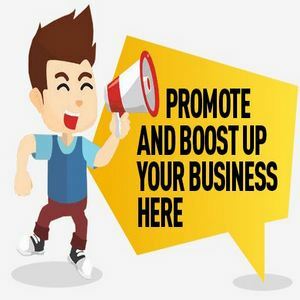 Depending on the kind of subscription you have, your ad can stay on the World Wide Web for at least 6 months or as long as it is still available for buying. You can upload photos (usually a maximum of six) or just include links to other sites (photo albums, etc). You can also upload descriptions of your home and since you will have more space for text (and your rate will not be dependent on number of lines or square cm – like newspaper ads), you will not be constrained to use usually unintelligible acronyms. With all these benefits, it is not surprising that a lot of home owners opt to place online advertisements for the properties they have on the market. Naturally, there are downsides. You may receive inquiries from bogus buyers, or even buyers from out of town (or country). With the large number of real estate websites on the Internet, the competition is also huge. Your advertisement may not reach your intended market. However, the benefits outweigh the down sides, thus making Internet advertising one of the most preferred marketing activities for individual home sellers today.